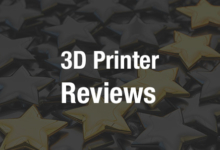 This past spring, Polish 3D printer manufacturer 3DGence released its dual extruder DOUBLE 3D printer. The company is now promoting the 3DGence ONE, the company’s classic single extruder 3D printer. The desktop ONE is designed for individual makers as well as companies, and 3DGence is currently looking to find out exactly how people are using its 3D printers in business settings. Therefore, the firm is launching a competition in which participants have the chance to win 3DGence ONE 3D printers for their companies – all they have to do is describe how they’re currently using 3D printing in their workplace. Companies may submit multiple entries for the opportunity to win more than one 3D printer. The competition judges will select winners based on originality, the quality of the description, and the quality of the photos and graphics attached. Submissions should be sent to marketing@3dgence.com. Case studies are an invaluable resource for those working with 3D printing or looking to begin working with 3D printing. Learning how others are using the technology can inspire businesses to begin using 3D printing, or to use it differently, to save money, time, and resources. By entering the competition, participants will not only be gaining the chance to win a new 3D printer, but will be contributing to a pool of knowledge and experience that will help others. 3DGence included a sample case study from a company called Bocar, which used 3D printing to prototype and verify a manifold for a fire engine. You can read the full case study here. The deadline to submit entries for the competition is July 31st; winners will be announced on August 14th.